If there is one name that will remain forever linked with the history of the Centre of Contemporary Culture of Barcelona, it is that of the sociologist-philosopher Zygmunt Bauman who died in Leeds on 9 January 2017 at the age of ninety-one. A few weeks before his death, the Centre for Documentation and Debates had contacted him to ask him to open the next Barcelona Debate, “Old Europe, New Utopias” . In his affable response, he did not decline the invitation but regretted that his state of health was delicate so, given the risk, said he would leave the final decision to the CCCB team. The period from this recent contact and going back to 2004, which was the first time Bauman (who was then relatively unknown, at least in Barcelona) set foot in the CCCB, covers thirteen years and fourteen lectures, more than a decade of working together and relationship. We mourn our loss because Bauman was pleasant, friendly and loveable, but we also look back with pride because we have worked with one of the most lucid thinkers of our times and we have conserved a good part of his ideas in our archive. We have published six books of lectures he has given at the CCCB in the series BREUS CCCB (published in Catalan and English): Noves fronteres i valors universals (New Frontiers and Universal Values), Arxipèlag d’excepcions (Archipelago of Exceptions), La felicitat es fa, no es compra (Joys of Life Made, Not Bought), and El destí de la desigualtat social en la fase líquida de la modernitat (The Fate of Social Inequality in Liquid-Modern Times) and, in the DIXIT series (in Spanish), Archipiélago de excepciones (Archipelago of Exceptions) and Múltiples culturas, una sola humanidad (Many Cultures, One Humanity) as well as two articles in the publications Fronteres and Europe City. On our website it is also possible to consult videos of his lectures, an interview and a chronicle of the last debate in which he appeared. This, in 2013, was followed by more than 700 people in the CCCB hall, which made him not just one of the oldest speakers at the CCCB but also one of the most popular with the public. He was our very own rock star (and we were his fans! ), so we would like to remember him from a more personal standpoint. We have asked several members of the CCCB team who had more direct dealings with him—the former director of the CCCB Josep Ramoneda; the head of the Centre for Documentation and Debates, Judit Carrera; the head of press, Mònica Muñoz; and the debates coordinator Susana Arias—to share their memories of Zygmunt Bauman with us. On 22 March 2004, Zygmunt Bauman gave his first lecture at the CCCB. Small, full of energy, accompanying his words with gesticulating arms and hands which made him fill the stage more and more, he gave a true lesson in a genre which is antiquated, or so it is fashionable to believe. Yet I have found few forms of presentation and discussion of ideas that can improve upon a good lecture. Bauman’s was precisely that. PowerPoint and panel discussions have wrecked a genre that is highly exigent. In order to give a good lecture, it is not enough to think about it and write it up. You have to deliver it. And delivering it is very difficult. PowerPoint is a great enemy of the good lecture. A lecture is an act of creation which, as such, is submitted for the interpretation and consideration of the audience. That day, Bauman explained to us how, in the city, general and abstract statements about conflicts between civilisations and cultures are translated into the experience of relationships with specific individuals, for example the people next door or from the neighbourhood. To paraphrase, he said that you don’t know these people as walking embodiments of an imminent clash of civilisations but as shopkeepers, waiters, workers, people who work in the same factory as you do, neighbours, parents of your children’s classmates and, little by little but unfailingly, they keep shifting from the abstract category of “alien civilisation” to that of individual human beings. Hence, slowly, and not without moments of conflict, fear of the great unknown begins to dissipate and the terrifying foreigners are no more than ordinary human beings with the same desires and wishes as you. Bauman’s skilfulness with metaphors, the secret of his publishing success—and how much sociological soup has been cooked up from his liquid society!—has meant that he is also sometimes pigeonholed. But, that day, his words were totally in tune with the spirit of the CCCB. Another memory I have is the day we opened a seminar with a discussion between him and Giorgio Agamben. I was impressed by the compelling power of the maestro’s presence. Everyone expected a certain theoretical confrontation and yet Agamben behaved like a young man intimidated by authority. He simply let Bauman lead the way. Bauman has many potent expressions, but one will always be with me. To paraphrase again, he pointed out that one of the great catchwords of the twentieth century was liquidate: liquidate the Jew, liquidate the class enemy. We must make sure that the main programme of the twenty-first century does not turn out to be that of liquidating mankind. These words sum up an intellectual life that was very typical of the last century: a Polish Jew who escapes the Holocaust, who grows up and is trained under the post-war communist regime in which he comes to occupy a position of responsibility in the military, and who goes into exile in 1968 at a time of a certain anti-Semitic crusade, first to Israel and then to Leeds where he forges his intellectual career. His vigour emanated life and his cordiality was warming. I remember most especially Lluís Amiguet’s interview with Bauman in November 2005. In order to ensure a good interview, it is necessary to give both interviewee and interviewer sufficient time and a comfortable setting. Neither of these was provided on the occasion of this interview for La Contra (the back page) of the daily La Vanguardia. Having prepared a lot of interviews for Bauman, which he resignedly and gracefully accepted, we led him to different parts of the CCCB, always in the company of his wife. First, there were photos in the courtyard, the Pati de les Dones, then a meeting with journalists in the Mirador space and, next, a recorded interview for the CCCB Archive. Bauman was showing signs of impatience and his wife was nodding her approval. But the main interview was yet to come: one hour with Amiguet! We had already crossed the passageway on the first floor, heading for a meeting room in the CCCB office space where we had planned to hold the interview, when Zygmunt Bauman raised his arms, opened his left hand (in the right hand he was holding his inseparable pipe) and, in the middle of the chill-out area (a break space for workers on the office floor on the CCCB with coffee and snacks machines), said, “We’ll do the interview right here.” Before I could convince him to change his mind, he and his wife were sitting in the chairs of the chill-out space. I broke out in a sweat. The journalist sat down beside him, turned on his recorder and started the interview. It was a total disaster. Added to the infernal racket of the old escalators, were the rumbling of the dispensing machines, footsteps, voices of the Centre’s workers moving from here to there, and sounds of visitors wandering around the CCCB at the time. It was one hour of utter torment which, nonetheless, turned into this Contra in La Vanguardia. We have never again held an interview in the chill-out space and, thanks to Zygmunt Bauman, I will always be well-equipped to tell people where one should never hold an interview. Their house was a typical two-storey English home in a narrow street near a big avenue which cut them off from the centre of Leeds. Cosy and with a Central European feel, it was austere but full of books. Their messy library had not diminished even though they had ceded 2,500 volumes to Prague University to express their gratitude to a city which had taken them in after they were expelled from Poland when the communist regime embarked on an anti-Semitic campaign in 1968. Three years later, in 1971, they arrived in Leeds, invited by the university there. After that Zygmunt Bauman never moved from Leeds or its university. It was surprising that a man with such solid pillars in his life should have been so able to interpret the uncertainty and fluidity of today’s world. Despite their advanced age, they were lucid, very well informed and up-to-date. They asked me about the CCCB, about the newly inaugurated high-speed train between Barcelona and Madrid, and the Law of Historical Memory. Owing to Janina’s delicate health, they were no longer travelling but were still writing because writing, they said, was their way of life. Their manners were exquisite and their happiness contagious. Yet there was also a hint of a certain tension between their vivacious curiosity and the slowness imposed by age. After some hours, Bauman walked with me to the taxi and authorised me to publish one of his texts in the “BREUS” collection. Saying goodbye, he added that, as long as he lived, we could always count on him. Our last correspondence with Bauman was just a few weeks ago when we invited him to open this year’s Barcelona Debate. With his usual loyalty to the CCCB, he thought about the invitation to return to “my beloved Barcelona” but warned us that his fragile health all but ruled out travel. He ended his email saying, “Think about whether it’s worth running the risk,” and closing with “Love – Z”. In his memory and to farewell him in the company of the audience that so greatly admired him, we shall dedicate the Barcelona Debate 2017, “Old Europe, New Utopias”, to Zygmunt Bauman. The Debate opens on 6 February. We have opened a space in the CCCB Archive where members of the public can consult a collection of Zygmunt Bauman’s work. After over forty years spent teaching Marx’s Capital – now also from his YouTube channel – Harvey’s view on the free market system reveals itself as clear, organised and categorical. We interviewed him to find out more about what his assessment is of the latest political changes. For David Harvey, the question should be turned around: Why didn’t Hillary Clinton win? The fact that anyone can read in the media that “Clinton went to talk for Goldman Sachs and received 270,000 dollars for one speech” gave a lot of fuel to Trump’s arguments. On the basis that voters in the big cities – such as New York – are more inclined to vote Democrat, it was in rural areas and among the most vulnerable social classes where the American magnate’s discourse made the deepest impression. According to Harvey, on a popular level, typical people talking in bars, it was felt that Hillary Clinton was not the kind of person who was going to work for them. The determining idea that led to Trump’s electoral victory was that “he made his own money”, which furthermore embodies the old ideal of the American dream. Meanwhile, Clinton was viewed as a person who, favoured by her position of power, was in politics purely to make a lot of money. In fact, between the years 2011 and 2013, China consumed 45% more cement than the United States consumed in the whole of the 20th century. So, what will Trump do? “Nobody knows exactly what he’s going to do, but what I can guarantee is that he’ll try to create a boom in the US economy through urbanisation programmes, just like China did. He has to provide answers to all the people on low wages who voted for him”, comments Harvey. The consequences of this urbanisation process, if it really does happen, may be very different. But the key, according to this geographer, is that we are going to move towards a new inflection point in the economy. “The growth will have to stop, inevitably. And copying the Chinese model, apart from the consequences it may have for the environment and socio-political contexts, creates political fighting and all the social tensions that we are seeing today”. “There are very good reasons to be anti-capitalist right now”, Harvey affirms. The situation that a new mass urbanisation process could lead us to should make us think about what we will do when that inflection point arrives. “We have to say to people explicitly that we need to manage this transition to a zero growth economy and it must be done in a way that is socially equitable”. Leaving aside the racist solutions offered by the Trump side, we still find other alternatives. Harvey points out that in the United States what might happen, for example, is that the political faction led by Bernie Sanders, who lost to Hillary Clinton in the primaries, may become dominant inside the Democratic Party. “This may lead to solutions in terms of building something that truly responds to the problems of growth”. In the United Kingdom, something similar is happening with Labour Party leader Jeremy Corbyn. Here is the case of a politician with little support among Labour MPs, but tremendous support from the mass party. This antagonism within the party itself has grown very quickly, along with new memberships to enable people to vote for him in internal processes. Meanwhile, in relation to Barcelona and similar cities, Harvey observes certain movements with a popular base that, on a municipal level, are making the effort to change the nature of the urbanisation process and the effects of mass tourism. In this sense, these movements are becoming a response to one of the great challenges of the current time: “building cities to live in, as opposed to cities to invest in”. 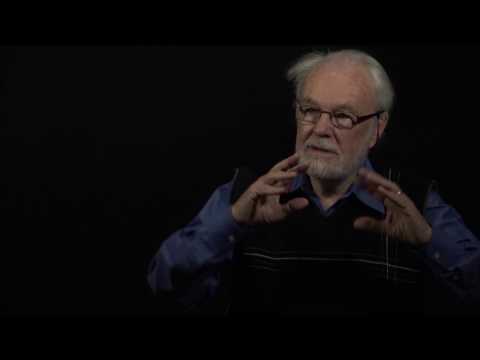 The lecture by David Harvey at CCCB is available here. What are the most worrying housing and urban development problems at worldwide scale? Do governments, businesses and institutions agree as to how to tackle them? Do cities have similar problems and conflicts? Habitat III, the third international conference on Housing and Sustainable Development, took place in Quito in October 2016. The UN holds this summit every 20 years to define what it calls the “New Urban Agenda”, the roadmap that states and organizations should follow as regards urban planning or development. The architect David Bravo, a collaborator of the Centre de Cultura Contemporània in projects such as the European Prize for Urban Public Space or the exhibition Piso Piloto, of which he was co-curator, attended the summit on behalf of the CCCB. Carlota Broggi, head of the CCCB’s touring exhibitions, interviews David Bravo about his experience at Habitat III. The need to understand housing as a right, to democratize cities and distance them from the interests of big business, gentrification or the acritical discourse surrounding so-called smart cities are common themes that concern Barcelona and Quito, and which David comments on in this interview. - What was the point of the CCCB’s presence in Quito? - Habitat III, the UN Conference on Housing and Sustainable Urban Development, brought together in Quito activists, thinkers and governors from all over the planet to establish the guidelines for the New Urban Agenda. The importance of this meeting is reflected in the fact that it only takes place once every 20 years. The CCCB’s presence highlighted its reflection on the urban phenomenon, which has been a part of the institution’s DNA since it was created. The CCCB has always taken an across-the-board view of the city and strived to combine such diverse disciplines as philosophy, literature, politics and urban planning. This promiscuity was particularly appropriate in the context of Quito, where voices from very differing geographical and disciplinary backgrounds made themselves heard. - How has the debate generated at Habitat III changed your view of architecture and urban design as tools to regenerate the city? More than changing my view, it confirmed my belief that architecture and urban planning are double-edged swords. They can serve the abuse of power by contributing to spatial injustice, property speculation, corruption in planning, public debt, wasting energy or concentrating wealth in the hands of the few. But they are also vital instruments for democracy. Rather than regeneration, we need to talk about the democratization of the city. Too often, we are victims of a dazzling neophilia that leads us to assume that all regeneration is positive. But this is not always the case; regeneration often means breaking up a social and urban fabric, damaging its values, and excluding or casting out its disadvantaged inhabitants. So we have to politicize our judgment of urban transformation, which is never a purely technical or aesthetic question. Democratizing transformations are those that improve the life in common of those who share the city today—justice—and the survival of those who will inherit it tomorrow—sustainability—. If these two conditions are not met, we are not building democracy. - The summit invited mayors from around the world, as well as heads of management and governability. Is there a consensus that views housing as a basic need and a collective phenomenon, like public space? - No, by no means. There is a big polarization between those who see housing as an asset and prioritize the right to ownership and those who see housing above all as a basic right and a means to democratize the city. This polarization manifests itself in various ways. The Thematic meetings held previously in various cities to prepare the Quito summit—Barcelona held one in April—produced official declarations full of alerts as to “spatial injustice” and defending the “right to the city”, concepts that were also very much present in Quito, both at the summit’s networking events and the alternative forums held alongside it. However, some UN member states reject the use of these concepts. So much so that the summit’s final declaration, as political scientist Joan Subirats remarked, is full of commercial concepts such as “smart city” while avoiding the word “democracy” and making just one, very indirect, reference to the “right to the city”. - The need to invest in smart cities was incorporated into the housing and urban design debate some years ago now. What does this concept really mean, and how did it feature in Quito? - My main objection to the smart city current is that it places the means before the ends. You might say that it contradicts the Machiavellian thesis that “the end justifies the means”, defending instead that “the means justifies the end”, an equally mistaken statement. The smart city often presents solutions to irrelevant or non-existing problems, while avoiding solutions to the two principal problems rife in all cities: injustice and foolishness. To give one example, we don’t need sensors that allow us to find a parking space more quickly; what we do need is to produce cities that can once again function without such an unjust and unsustainable invader as the private vehicle, be it electric or self-driving. The smart city views the urban phenomenon from the viewpoint of highly depoliticized, acritical technophilia even as it forgets—or conceals—that any urban transformation has political causes and effects—politics comes from polis, which means city! And it does this in collusion with big global corporations of doubtful reputation, like Cisco Systems or Telefónica, which concentrate great wealth in the hands of the few. Recently there has also been talk of “smart citizens”, which seems like a bit of an attempt to give a facelift to an initiative that originally overlooked the people. They is no denying that new technologies can be very useful in improving transparency, participation, collaborative coproduction or the democratic management of cities. But we have to remember that technology is just an instrument that can equally be used to serve democracy or the abuse of power. - As a representative of the CCCB, what contribution to the general debate were you able to make at the round tables organized at Habitat III? Most particularly, the lessons learned from the European Prize for Urban Public Space—organized since 2000 by the CCCB along with another six institutions in Frankfurt, Helsinki, Ljubljana, London, Paris and Vienna—and the reflections offered by the exhibition Piso Piloto, organized jointly by the CCCB and the Museo de Antioquia in Medellin, which explores a host of solutions that have proven their viability for implementing the right to housing and the right to the city. - Do you think these reflections evolved during the work sessions in Quito? - The reflections underlying Piso Piloto evolved, because they showed that, beyond the immediate context of the exhibition—the cities of Barcelona and Medellin—they are just as relevant in other settings, such as Equatorial or Mexican cities. Quito and Mexico City are also concerned about phenomena such as gentrification, the lack of social housing or the proliferation of large private developments that impoverish the urban fabric and isolate their residents in closed communities. Ultimately, we see that the right to housing and the right to the city are universal and cannot be taken apart from each other. I’d go so far as to say that in an increasingly urbanized world, these rights are the bedrock of the rest of our human rights. - If Piso Piloto argues that “the city of the future is already built”, why do you think it is useful to discuss the challenges of urbanization in the 21st century? - When we say that “the city of the future is already built”, we don’t mean that there’s nothing left to be done, or propose that things should be left as they are. What we want is to get past the development paradigm of the 20th century, based on unlimited growth. Past the utopian logic of modern urbanism that prefers the clean slate or the new build to grappling with the complexity of a pre-existing place. Past compulsively extending urban land with mono-functional, low-density new builds. Past an outdated, highly unjust and unsustainable model that’s responsible for urban sprawl, spatial segregation, pollutant emissions, energy waste and territorial depredation. And this is not nostalgia; it’s a really contemporary way of thinking to defend the pre-modern model of the mixed compact city, made up of small row properties, with corridor-streets that encourage local commerce, a mix of uses and social classes, pedestrian movement and the possibility of good, efficient public transport. This model is far more appropriate for dealing with the economic, ecological and political challenges of the immediate future. - Ideally, what is the best Urban Agenda for the coming years? 1. Looking downwards, there’s the principle of redistribution that conveys wealth and opportunities to the base of the social pyramid. We have to democratize access to basic resources and important places, combat growing inequalities and understand that social cohesion is a necessary condition for the good functioning of any city. 2. Looking forwards, we have sustainability, which improves the legacy we leave for coming generations. We have to stop putting them in the red, stop squandering the energy resources that they will need or damaging the environment in which they will live. Promoting sensible ways of designing the city is the most effective way of combatting climate change. 3. Looking back, there is the value of memory, which draws the best lessons from the past so that each generation can progress from the best starting point. We have to fill in the gaps available in compact fabrics, activate the things we have inherited from the past with new uses and meanings that preserve their heritage values. Reform, recycle, reuse and re-inhabit what is built rather than destroying, replacing or building anew. 4. Looking up, there’s the idea of participation—bottom-up—, that allows us to combat technocracy, populism, cronyism and abuse of power. We have to use pedagogy, transparency and accountability to transform the indifferent and the selfish into responsible, rigorous, aware citizens who are involved and empowered.